It is now more than five years since President Hugo Chavez provided the government of Dominica with a coffee processing facility. 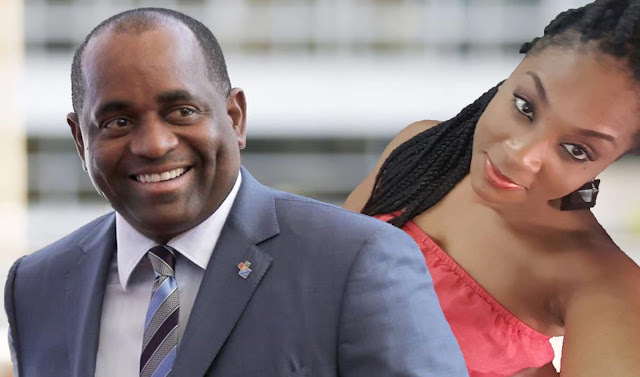 The VENIDOM corporation , which we refer to as the “Coffee Wing” of the Roosevelt Skerrit administration was formed to manage and operate the entire coffee production. The VENIDOM Corporation, embarked on a mission to train Dominicans in Coffee production and so a chattered flight with over twenty Dominicans was sent to Venezuela for coffee production training. It is now past 4 years since the facility was completed and not one coffee job has been created; moreover not one coffee bean has processed. The Government also spent over $4 million dollars on imported coffee beans and as we have reported before several 20 feet containers of these coffee beans have rotted and the government is now faced with the difficult task of disposing these toxic coffee beans. Sing Vigilante Sing- Everything is upside Down, Everything is back to front. 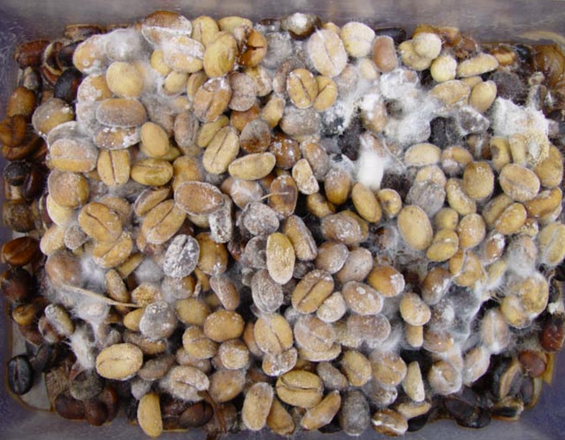 It is important to reiterate the dangers associated with rotten coffee beans. 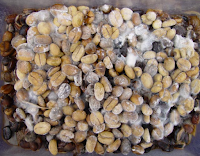 Scientific studies have concluded that rotten coffee beans produce molds that contain a toxic chemical product known as mycotoxins and exposure to these has been linked to a number of adverse health issues to include asthma, dermatitis, and pneumonitis. Mycotoxins may cause loss of agricultural products, loss of human and animal life. We know for a fact that the rotten coffee beans have been a major embarrassment for the DLP administration. In addition the government has not yet denied a report that the Venezuelan side of the VINIDOM Corporation has been making request for payments due under the VENIDOM agreement. Yesterday the Marpin News team arrived at the One Mile location and it was not to promote government propaganda. The crew was met with firm resistance. 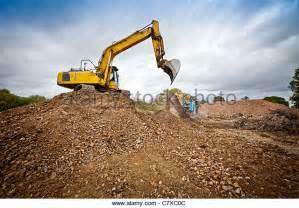 It is our understanding that the heavy equipment operators and the rest of the burial crew (most likely NEP workers) were specifically instructed to keep the operation isolated from the public view. We also understand that the Marpin camera operators had to resort to tree and fence climbing tactics in order to get camera shots of the coffee bean burial operation. Mag wais ca labar ka twavaille and they don’t want the lights and camera like they did at the bridge opening ceremony? Not even a little coffee bean memorial service by Fr Sharplis in Portsmouth? No one at the One Mile Agricultural station or the Ministry Of Agriculture will provide information on the situation at the coffee factory and the dangerous coffee bean disposal operation – an operation that could have severe health and environmental implications. But this is the level of accountability that the people are forced to accept from an inept, lazy and corrupt government. 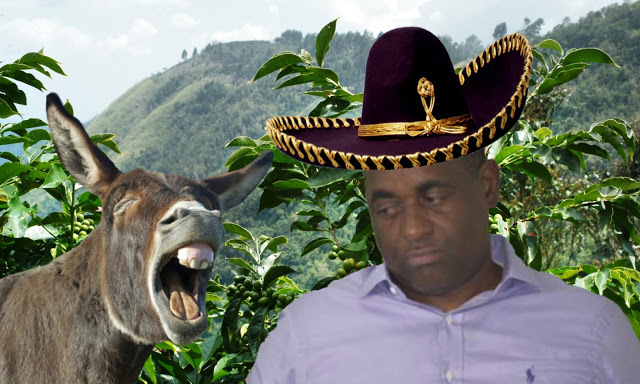 For Kicks and giggles -We hope that if Carlise passport do receive validation by the Dominica Immigration and he is allowed re-entry into Dominica he will also do a follow up report on the “new” CBI- COFFEE BEAN INTERNMENT.